Is it possible to hang a lamp or a painting on the wall with 3D panels? 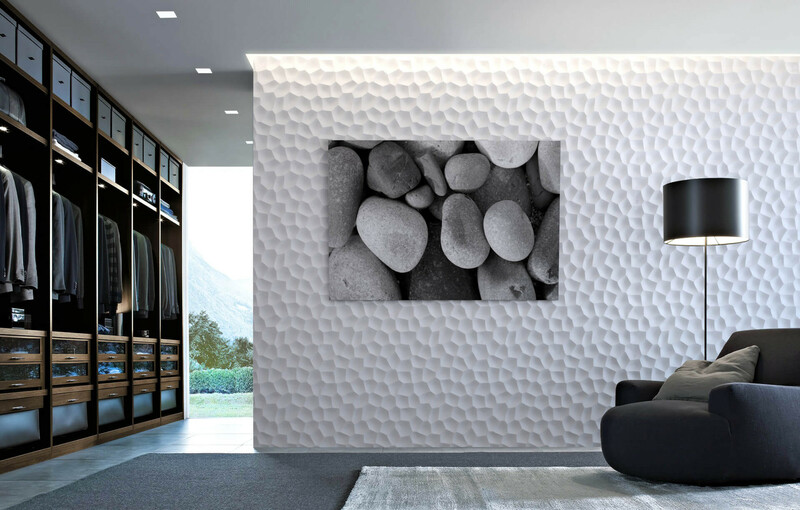 You have installed 3D wall panels and now you’d like to hang a lamp or a painting on this wall? No problem. Lamp or painting mounting is done in the same way as on regular, flat, plastered wall. If elements you’d like to hang are not too heavy, they are simply installed on a dowel or a screw. Particular attention is on the choice of the screw of sufficient length, which is then dowel inserted to reach the supporting member of the wall. If elements for hanging on the wall are really heavy, call us and we will advise you on how to solve this problem.